This projects aims to restore degraded peatlands in the Słowiński Park Narodowy (Słowiński National Park) situated on the Baltic coast of Poland. This area consists of raised bogs subjected to degradation by draining, afforestation and peat exploitation. In order to improve biodiversity and the resulting ecosystem services such as carbon storage, water retention and purification, measures including the blocking of artificial ditches at more than 200 locations and the improved conservation of existing bog vegetation will be implemented. Furthermore, areas destroyed by peat mining activities – the post-mining artificial water bodies – will be restored experimentally in order to initiate the development of peat-forming vegetation. These measures will help reduce the Nitrogen and Phosphorus outflow from degraded peatbogs into the Baltic Sea along with preserve carbon storage in peatlands, thereby improving the conservation status of nearly 500 ha of Natura 2000 natural habitats. Draining and afforestation from the 19th and 20th Century have led to the degradation of three former raised bogs (approx. 1350 ha in total) situated in the Słowiński National Park, Poland. This area is currently covered by damaged bog forest, with small fragments of the typical mire vegetation. Furthermore, draining ditches, which are remnants of 19th Century draining activities, are still active, promoting water outflow into the Baltic Sea. The decomposition of dried peat releases CO2 into the atmosphere, along with dissolved carbon, nitrogen and phosphorus that flow into the Łebsko coastal lagoon, which is directly connected to the Baltic Sea. Excavation of peat in the southeast areas of the Park was also undertaken in the past. Currently, the artificial water basins created by former peat mining (approx. 30 ha) that are part of the National Park are in need of restoration in order to foster peat-forming vegetation and improve ecosystem services. 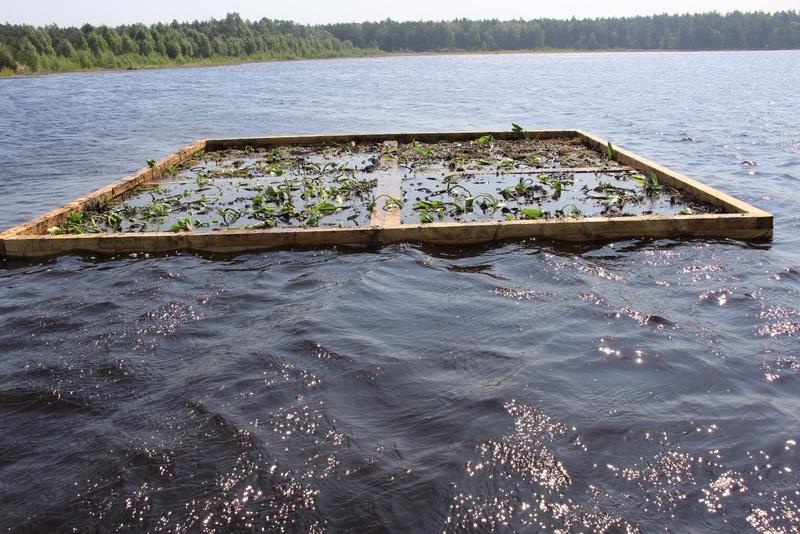 Demonstrative restoration of peatlands in the Słowiński National Park by stopping water outflow from artificial ditches, reducing peat decomposition (which consequently reduces CO2 emissions, and dissolved carbon, nitrogen and phosphorus outflow through water), and initiating peat-forming vegetation in post-mining areas.